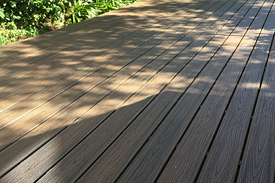 Designed for use when building decks approx 300mm to 600mm off the ground. 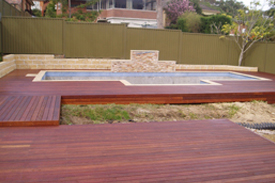 Setting up a levelling post and bearers for the sub-structure of your deck can be tedious and time consuming. But it's one of those things that just has to be right. The clever people from KlevaKlip have now released the Adjustable Bearer Support – aimed at the section of the market where decks are typically from 300 to 600mm off the ground. Built heavy duty and fully hot dip galvanised, with an adjustment for “bottom of bearer” height of 160* mm to 290mm, the Adjustable Bearer Support will save time and make your job so much easier. 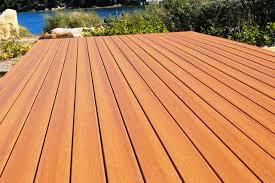 * Note: The product has a supplied lowest height of approx 175mm. In order to achieve 160mm, the bottom 15-20mm of the threaded rod needs to be cut off. Quick and easy to use when setting height of your bearer. 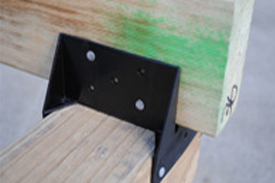 Ideal for use on areas where the ground has a "fall", to provide a level bearer height. 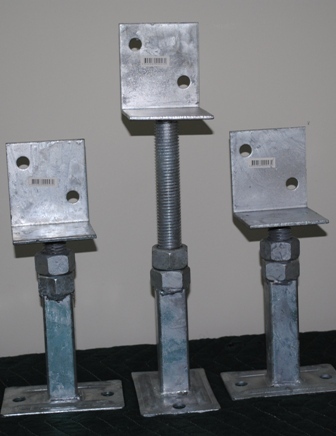 Heavy duty and fully hot dip galvanised ensures long life-span without failure. Locking nuts ensure absolute rigidity. 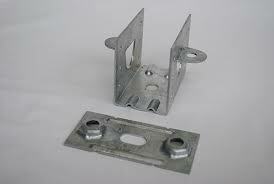 Can be used to prop up existing bearers or floor joists that have sagged over a period of time.